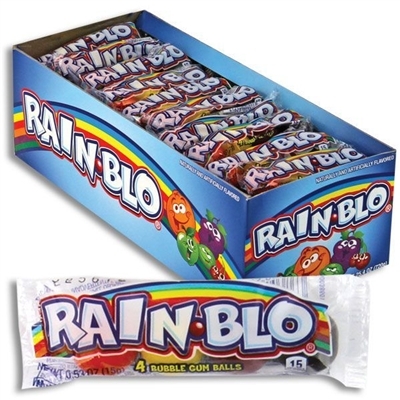 Assorted fruit flavor gum balls. 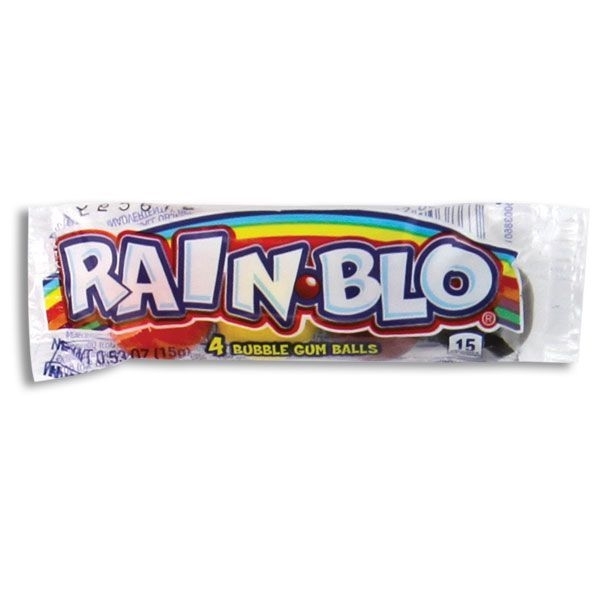 Rain-Blo is the first gum ball where the color matches the flavor. They come in orange, lemon, cherry and grape flavors.